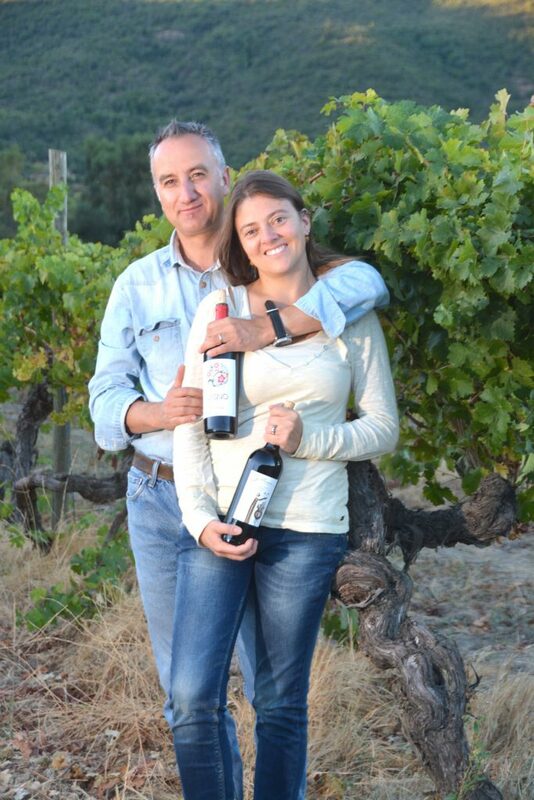 Founded in Maule’s Loncomilla Valley in 1990 by Francisco Gillmore, today Viña Gillmore is in the hands of his winemaking daughter Daniella and husband André Sánchez, who previously made wine in Italy. 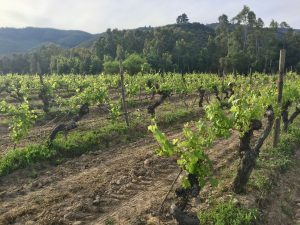 They dry farm, organically grown Carignan and several other varieties in bush vines that are grafted on old Pais rootstock. 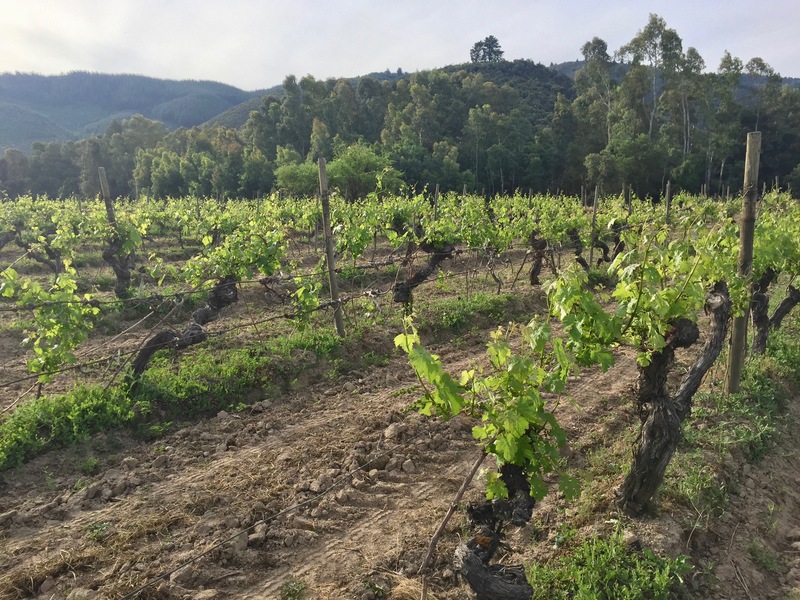 We had the opportunity to visit with Daniella and André and tour their vineyard and winery on our last visit to Chile, and we’ve tasted their wines on a regular basis. The wines are consistently well made and full of character. Viña Gillmore is one of the founders of VIGNO (see below). See our reviews of new releases below. Viña Gillmore is one of the founders of VIGNO “Vignadores de Carignan,” an organization of growers and winemakers for the marketing and promotion of Carignan of the Maule Valley. With Andrés as the brainchild, it was established in 2009 by 12 founding wineries representing a mix of small and medium-sized producers. Vigno wines must be made from at least 65% old, dry farmed Carignan vines from Maule. The wines must be dry farmed, head pruned bush vines (gobelet). Vigno has helped put Chilean Carignan on the map and is dedicated to preserving the vineyards and promoting the quality of Carignan worldwide. The International Wine Review has written extensively on the wines of Chile over the years, including two major reports, Report #21 The Chilean Wine Revolution and Report #60 Chile’s Premium Wine Revolution, an article focused on the Carignan grape, The Emergence of Carignan in Chile’s Maule Valley, and several other articles focused on particular grape varieties and Chilean producers. The US Importer is Global Vineyards. Gillmore 2018 Mariposa Rosado de País Loncomilla Maule Valley ($15) 91 Pale salmon pink. Most of Gillmore’s old vine País vines have been grafted over to more popular varieties, but fortunately a few remain for Daniella and Andrés to make this unique rosado. It begins with an effusive bouquet of rose petals, strawberry and orange zest and progresses to a perfectly balanced palate with a lovely, soft round texture complemented by just the right amount of acidity. Made from dry farmed old País vines. The País is Chile’s heritage grape, brought by the Spanish from the Canary Islands in the 16thcentury, its wines rarely reach the elegance shown in this delightful rosé. Gillmore 2016 Mariposa Red Blend Loncomilla Maule Valley ($20) 91 Showing intense fragrances of freshly picked dark red fruit, the Mariposa red blend is a fruit forward wine with good depth of dark cherry, plum and red berries on a juicy, lush palate. Incredible drinking pleasure for the price! A 50/50 blend of dry farmed, old vine Syrah and Merlot made by Daniella Gillmore and Andrés Sánchez, fermented in stainless steel and aged in oak barrels. Gillmore 2014 VIGNO Carignan Loncomilla Maule Valley ($40) 93 An exotic and complex wine showing scents of flowers, herbs and spice. It’s softly textured with generous, layered flavors of dark fruit, minerals and spice with savory undertones. Made from dry farmed, old vines from the family’s Loncomilla vineyard planted in the 1940s; aged in neutral French oak for 18 months. This entry was posted in Chile, Countries and Regions, Uncategorized and tagged Carignan, Featured, Maule, Vigno. Bookmark the permalink.